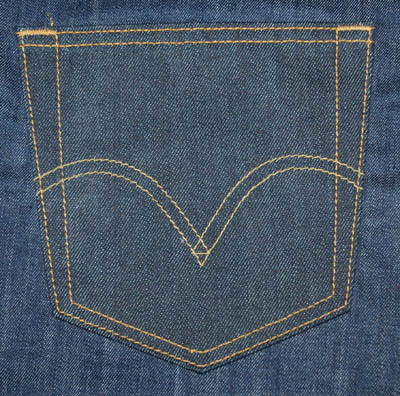 1.Using special patented templates and special frame, template can easily produce by their own, suitable for all kinds of shape's back pocket decorative stitching. 2. Via the touch screen input decorative stitching pattern easily. 3. Can be changed the sewing pattern to fit different style. 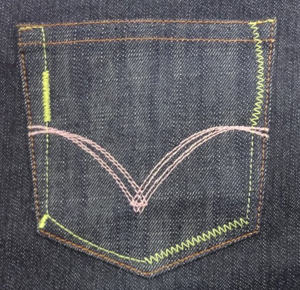 If setting sewn two sides or four sides, then sewing X by diagonal line; can be set to single, zigzag stitched seams or custom pattern cloth line mode. And can be selected the starting point and join stitches. 4. 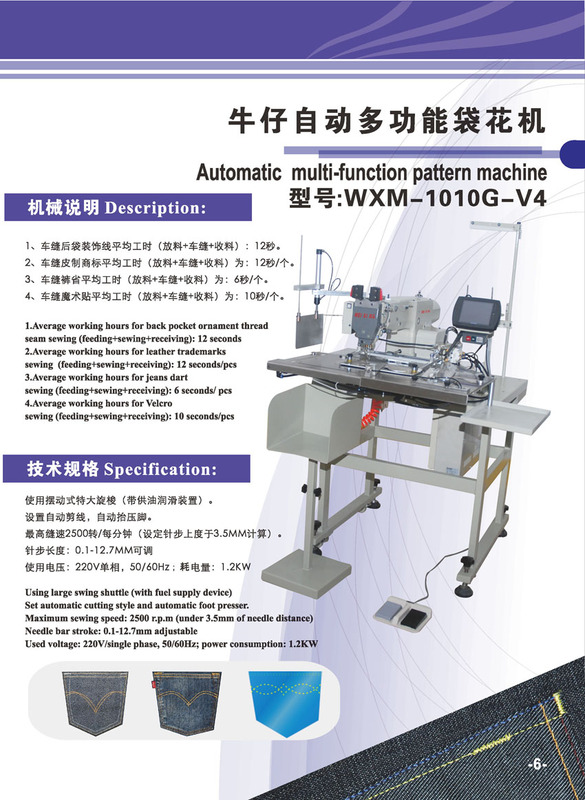 Automatic feeding device, feeding device operates by double clamp device; the first clamp device put the material in the head to sewn, and the second clamp device put out the sewing material from the head, feeding and discharging continuous synchronous working. Because the machine is easily and quickly operated, so one worker can operates 2 to 3 machine at the same time. 5. 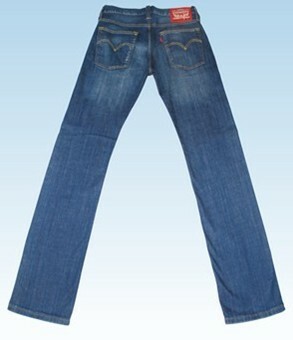 Operator only takes the material away, sewing and winding machine automatically, one person can operate 3 machines. Increase output. Set automatic cutting style and automatic foot presser.